When it comes down to that moment when you are looking for the best Divemaster Internship and they ask you to shell out a bunch of money...and you are wondering...WHY??? 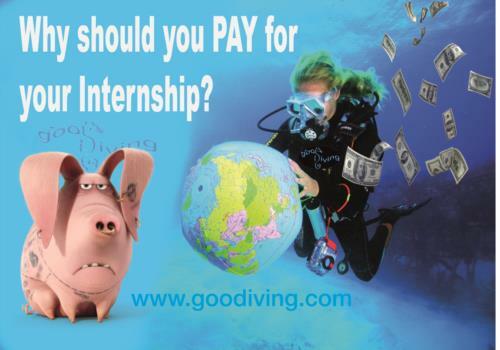 Why Should You PAY for your Divemaster Internship? Take our Divemaster Internship is a Life Changing Experience, not only because you will be scuba diving everyday but also because you will be trained to be responsible for the safety of the people that dives with you, getting in touch with happy, active people from all over the World. This process is expensive, regardless of which training organization you will decide to go through. If you choose an unpaid Internship you will have to expect your work to cover those costs and so to spend a large part of your time generating revenue. If you are wondering how, well...in a diving center there is always a lot to do from the interesting pool try to the terribly boring inventories of the equipment maintenance. Starting to intern in a Dive Center you will soon realize that your experience is not sufficient to contribute as a salaried employee and that the scary idea of paying to do it has been instead the best way to ensure a legit internship, with established agreements and the easiest way to gain quality experience and start building a network of contacts that will help you to realize the career of your dreams. Surely the training fees are so that the candidate gets the training to become a Divemaster? If they undertake to work in the centre as an intern then that is a separate transaction and is labour above and beyond what they have actually paid for. An internship should be an offset of expenses where neither party feel they are being ripped off. The dive centre for providing training without reward and the TDM that are paying full price for a course and are expected to work for the centre without pay on top of the fees they have paid. From my personal experience as TDM first and then DMT, I realized that an internship is a big investment of energies and time. It takes time to learn how to work in a dive center and every internship has different timing, depending on both parties. Trainee and trainers have the right to plan their time, so pay for a professional training at a reduced price is a good way to ensure the quality of the training, I believe. 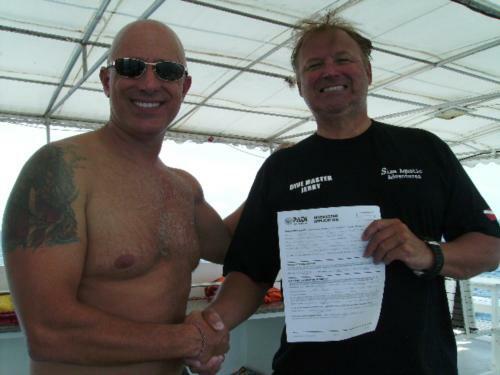 There are trainers that accept to train for free but I think that, in the field of diving industry, it is fundamental to always keep in mind the difference between professionals and hobbyists. Does anyone want to pay for me to go with you on a trip?